The world of eCommerce is a whole new world. While there are many users who have frequently shop online, there are are those who are new to this experience and are not fully aware of how it works or what to expect. Even the experienced shoppers sometimes take time to figure out how to go about making their purchase. The chief reason that the online customers are wary of making the purchase online is lack of clarity. Either the customer cannot find sufficient information regarding the product or they are unable to perform a complete research on the product in question. The customers are usually picky in what they want to purchase. This behaviour is amplified since the number of ecommerce websites are increasing rapidly. 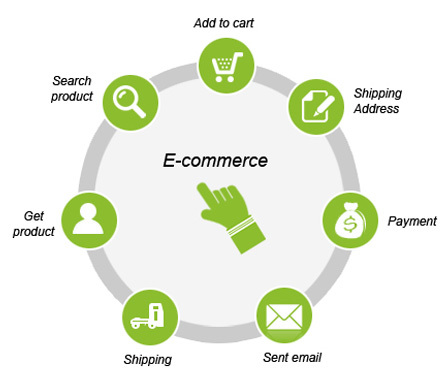 It is thus second nature for the customers choose the ecommerce website that presents all the necessary information regarding the product or service in a clear and descriptive way. The customers also value the other information equally high. They expect to be able to find general information regarding the firm as well other vital information on shipping, handling and return. Displaying correct information about the product also goes a long way in eCommerce. For example if the product is not instock and it is clearly mentioned so on the website along with additional features like ‘notify when in stock’ make the consumer purchase more confidently. One thing customers like is promotions and offers and the ecommerce stores also often have such promotions since it boosts their sales. However it is necessary to avoid confusing and complicated offers. By keeping the offers clear and simple it is possible to avoid angering the customer and in worsts cases losing them all together. Customers usually give a lot of importance to shipping and handling. Hence if your store offers free shipping, make sure to specifiy this on the very first page in bold and big fonts so tht it is eye catching. Besides which it helps to provide additional features to the customer, to help them calculate the shipping cost based on their address of delivery. Doing so can reduce abandoning of filled carts by the customers on the checkout page. The consumer does not liked to be fooled. Thus when it comes to promotions, offers, cost of shipping, product description or specification, it is best practice to avoid ambiguity and display the information in a correct and clear manner. Alakmalak is a web development company. They offer several web development services including developing as simple website, ecommerce website or a customised website for special requirements. Their highly skilled and certified developers make sure to see every project to completion in a timely manner. They have a great deal of experience and help maintain a good client retention ratio. This is one of the main reasons why Alakamalak continues to grow in both infrastructure and size. How to Change Blocks Order In Magento?